Can any1 in Australia mod my c64 mini? 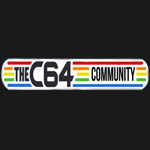 I’m not real flash with soldering etc so wondering if anyone in Australia (I’m in adelaide so that would be ideal) would be prepared to mod my c64 mini for a few?? I only want a handful of games added to the carousel. You're probably sorted already, if not gave a look here.